Light Green Memory Foam Stretch Woven Pumps, this stylish woven pump is a must-have for those long days on your feet! We carry this woven pump in wide and wide wide widths. 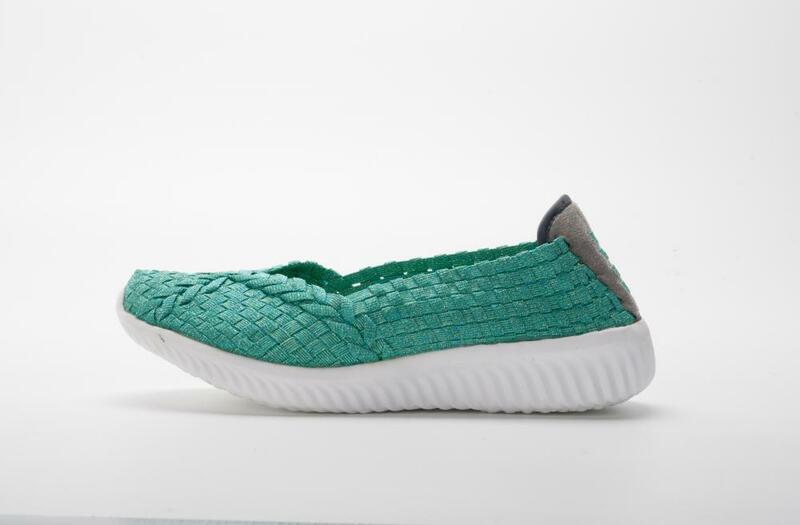 Stretch woven upper memory foam insole flexible, skid-resistant soles 1¼" heel Woven sneaker in medium. Easy slip-on style. Stretch fabric lining. Relaxed flat heel design for a roomy comfortable fit. Memory foam cushioned comfort insole. Shock absorbing flexible lightweight midsole. Flexible rubber traction outsole. Looking for ideal Light Green Woven Pumps Manufacturer & supplier ? We have a wide selection at great prices to help you get creative. All the Stretch Woven Upper Pumps are quality guaranteed. We are China Origin Factory of Memory Foam Woven Pumps. If you have any question, please feel free to contact us.